"Love is the one thing that transcends time and space..."
Anne Hathaway's character says it best in the latest trailer for Christopher Nolan's upcoming sci-fi epic Interstellar this November. Is Interstellar this year's Gravity? Let me know in the comments below. Last week NOW TV debuted on the PS4 and today it's the turn of Microsoft's multimedia powerhouse Xbox One! "We're pleased that NOW TV has joined the ever growing list of entertainment apps and services on Xbox One," said Pawan Bhardwaj, UK Xbox Live product manager. "Sky is an important partner for Xbox." NOW TV joins an array of apps including Amazon Instant Video, Blinkbox, Netflix and YouTube. Not forgetting you can connect Sky+ and Virgin Media TV via HDMI to Xbox One and use the voice commands and OneGuide to control everything. It's worth noting you no longer need an Xbox Live Gold subscription to stream content from third-parties. The Xbox One is getting a 3D Blu-ray update next month. Add BBC iPlayer, DLNA or Plex and Xbox One becomes the quintessential multimedia streaming hub for the living room. Join NOW TV here. No contract. The Last of Us is my favourite PlayStation game. Ever. There, I've said it. To celebrate the launch of the PS4 version of The Last of Us, Naughty Dog brings last year’s Game of the Year to life in front of hundreds of fans in Santa Monica. This special one night only event will celebrate the artistry behind the game with a performance of the score, plus a “live read” of key scenes featuring the principal actors, as directed by Neil Druckmann. The creative team will also participate in a live audience Q&A. 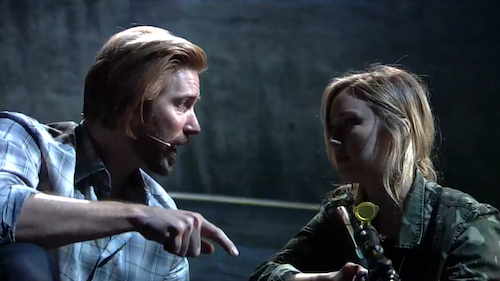 The Last of Us: One Night Live contains spoilers. Consider yourself warned. Getting The Last of Us Remastered for PS4? Let me know in the comments below. This shiny poster for Star Wars Rebels evokes artist Drew Struzan. The new series follows on from The Clone Wars. Watching the series premiere on Disney Channel? Let me know in the comments below. Marvel's Guardians of the Galaxy is released in UK theatres this week and the Mouse House has announced plans for a sequel during a panel at San Diego Comic-Con! 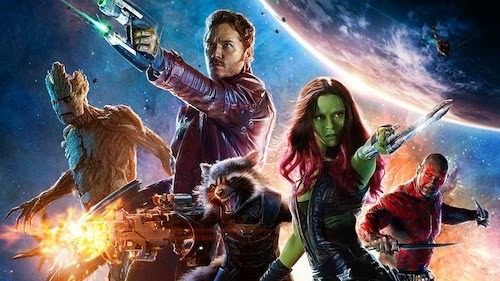 The studio confirmed James Gunn will write and direct the first sequel with the original cast expected to return. Marvel Animation announced an animated series, which will join a burgeoning roster including Avengers Assemble, Hulk and the Agents of S.M.A.S.H., and Ultimate Spider-Man: Web Warriors on Disney XD. Looking forward to more Guardians of the Galaxy? Let me know in the comments below. 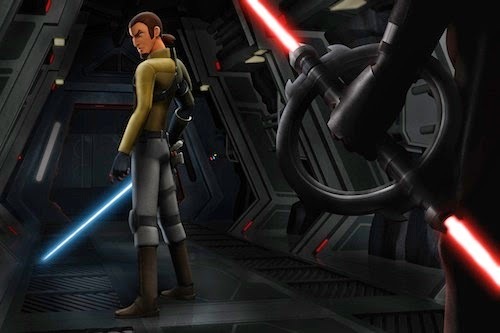 During the Star Wars Rebels panel at San Diego Comic-Con executive producer Dave Filoni shed light on the upcoming Disney XD series set between Revenge of the Sith and A New Hope. 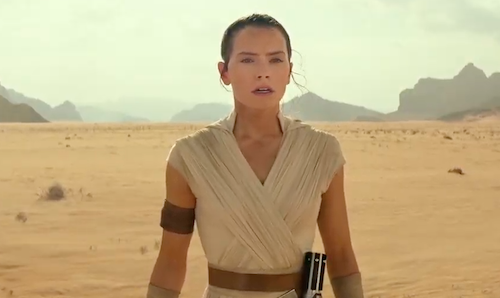 With the Jedi in hiding, their iconic lightsabers won’t play as prominent a role in the new series. In this San Diego Comic-Con 2014 exclusive Star Wars Rebels clip, Kanan squares off against the Empire's powerful Inquisitor, who seeks to destroy the Jedi and Ezra. 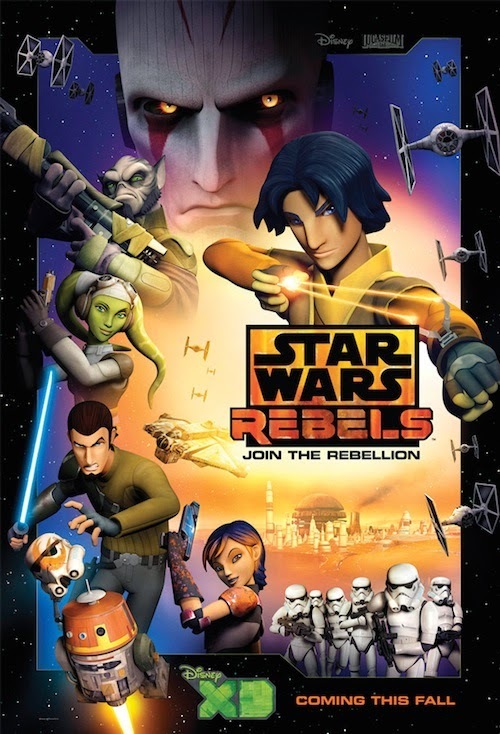 Are you excited for Star Wars Rebels? Let me know in the comments below. For the past few months I've been beta testing NOW TV for PS4 and the app is now available for download. Nickelodeon and Nick Jr. have been added to NOW TV's Entertainment Month Pass in time for the school holidays. Episodes of Nickelodeon shows such as Sanjay and Craig and Spongebob Squarepants can be streamed on demand, as well as episodes of Nick Jr. programming including Peppa Pig and Dora the Explorer. 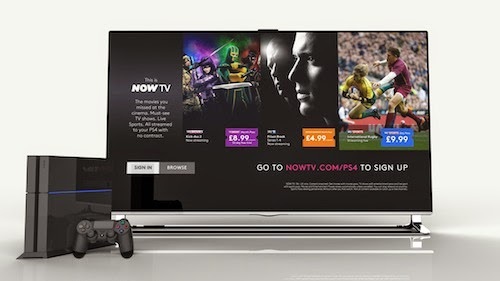 The NOW TV Entertainment Month Pass grants access to live and catch-up channels including Sky Atlantic, Sky1, Disney Channel and Fox for £4.99 per month with no contractual obligation. 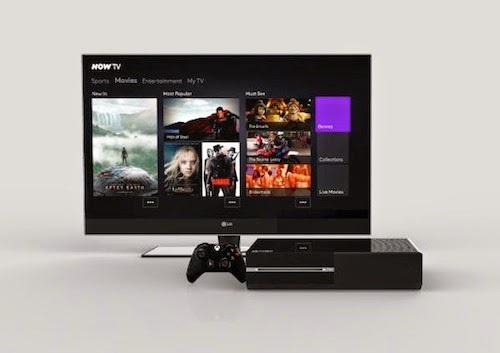 NOW TV is available on multiple devices and is coming to Xbox One this summer. Sign up to a NOW TV pass here. No contract. 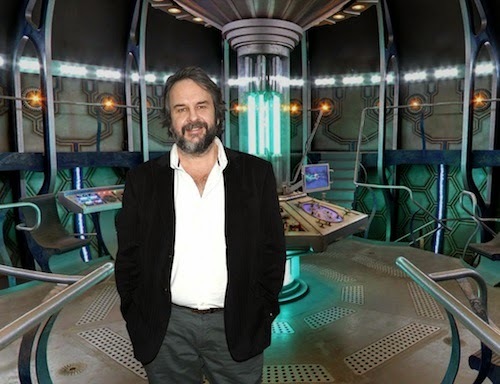 After years of speculation Lord of the Rings and The Hobbit director Peter Jackson will direct Doctor Who. Probably. Are you excited for epic episodes? Let me know in the comments below. Xbox Entertainment Studios may be closing, but Ridley Scott's Halo: Nightfall digital series is packaged with Halo: The Master Chief Collection this November. 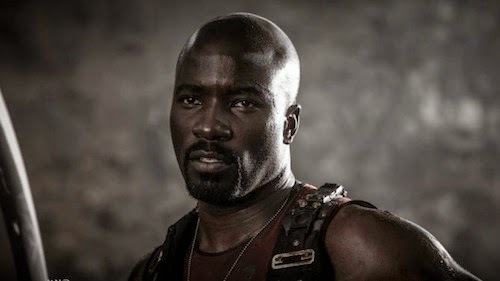 Trade magazine Variety accidently gave readers a first glimpse of Agent Locke played by Mike Colter (The Good Wife). 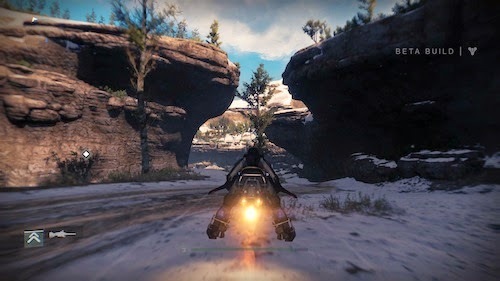 Locke will play "a key role in Halo 5: Guardians," general manager and 343 Industries studio head Bonnie Ross said during a Halo-themed meeting at E3 2014. 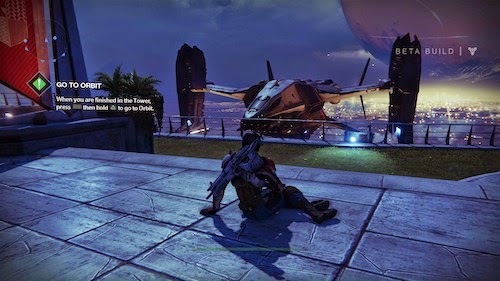 "We're using Halo: Nightfall to basically tell his backstory and tell his origin story," Ross continued. "You don't have to watch this, but knowing this will kind of tee you up for all the new things that are going on in Halo 5: Guardians." A few weeks ago Amazon Prime offered a discounted Xbox One Titanfall bundle. So, I jumped in and Microsoft's beleaguered box has earned pride of place in the living room. Appreciating the monthly software updates, which put Sony's PS4 to shame. Director JJ Abrams reveals a battle-scarred X-Wing in blue livery on the set of Star Wars: Episode VII in aid of Force for Change. All Wings Report In! On the set of Star Wars: Episode VII, Director J.J. Abrams was interrupted by an X-Wing pilot and rogue robot as he announced the chance for fans to win an advance private screening of Star Wars: Episode VII. “We are so grateful for the support that the fans from over 119 countries have shown for Force for Change," said Abrams. "As we close this final week, we've added an additional prize that allows the fans the opportunity to see the movie early as a thank you for supporting such a great cause as UNICEF’s innovative, lifesaving work for children.” By contributing at any level by July 25th, participants will be eligible for all prizes including a chance to be in the movie. The plot premise for Episode VII has allegedly leaked online and is doing the rounds. 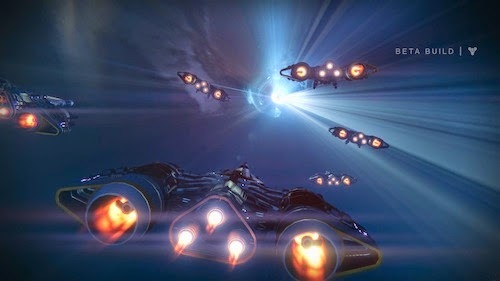 I won't be linking to any of the stories or adding to the speculation. You can donate to Force for Change here. I've made a donation in memory of my high school classmate Rebecca Richards who tragically died at the weekend following a long illness. 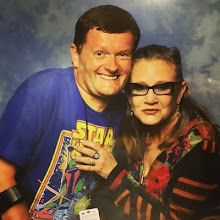 Do you want to see more X-Wings? Let me know in the comments below. Chester’s 1936 Art Deco Odeon cinema closed in 2007 and has stood empty ever since. In the next few years it is to be redeveloped as part of the RE:NEW project, transforming it into a Cultural Centre in the heart of the city. As part of this venture, the Chester Film Co-op was born - a creative place for filmmakers and artists to meet, make films and share ideas. As members of the Film Co-op, Chat Noir Productions were commissioned to make three films about the Odeon, the first a short film inside the abandoned cinema. Rather than just document the state of the building, writer-director Daniel J. Fox envisaged an adventure film, bringing Chester’s Odeon back to life. “Ghosts of the Odeon” centres on a young boy’s journey around the long forgotten cinema. Exploring from the lobby to the auditorium, he encounters echoes of the past, as iconic movies come to life. While much of the film relies on replicating music and sound cues, it was also necessary to recreate a number of classic movie scenes. Characters including Han Solo and Indiana Jones were joined by creatures from Alien, ET, Jurassic Park and Gremlins. The film was shot on a tight schedule and succeeds thanks to a stellar central performance by actor Jack Clayton, as the boy on the adventure of a life-time. The Chester Odeon is a place filled with many happy memories and “Ghosts of the Odeon” recaptures the excitement of growing up loving movies. Special Props and Puppets by Chat Noir Productions Ltd.
Amongst familiar faces in the latest trailer for Doctor Who S8 is what looks like Garrus from Mass Effect! 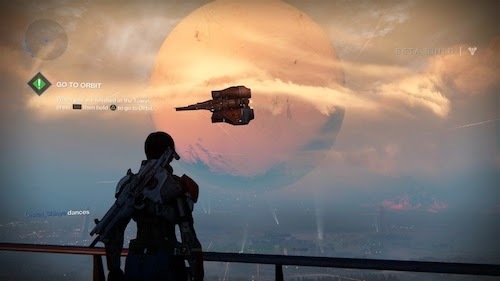 The sci-fi series is no stranger to taking direct inspiration from videogames. Presumably this is a robotic homage to one of gaming's most beloved characters? 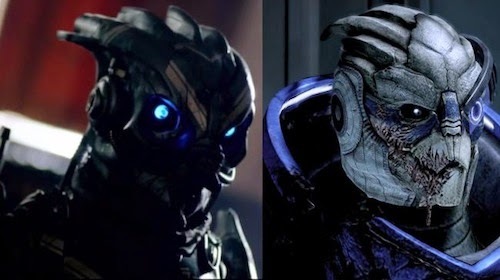 Is it a Garrus reference or not? Let me know in the comments below. 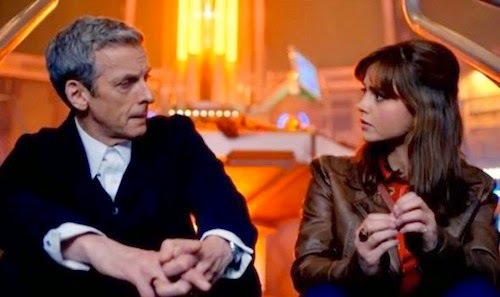 The latest trailer for Doctor Who S8 debuted during halftime in the World Cup final between Germany and Argentina in Brazil. Familiar foes return including Davros (creator of the Daleks), Cybermen and, in a nod to the Third Doctor adventure Invasion of the Dinosaurs, a T-Rex. Last week, BBC chiefs were forced to make an appeal to fans to keep the plot of the upcoming series a secret after scripts were leaked online. The material had reportedly been made public after the documents were sent to employees at the new BBC Worldwide Latin America headquarters in Miami, Florida for translation. A statement released by BBC executives read: "Unfinished material has inadvertently been made public. We deeply regret this and apologize to all the show's fans, the BBC and the cast and crew who have worked tirelessly making the series. "We would like to make a plea to anyone who might have any of this material and spoilers associated with it not to share it with a wider audience so that everyone can enjoy the show as it should be seen when it launches. "We know only too well that Doctor Who fans are the best in the world, and we thank them for their help with this and their continued loyalty." Are you excited for the new series? Let me know in the comments below. 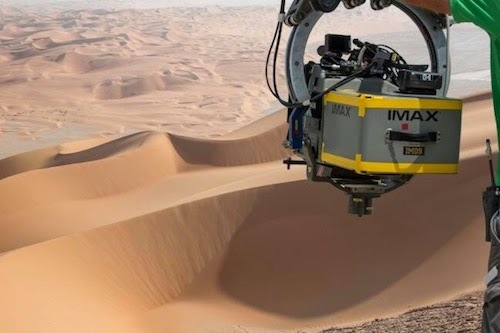 Bad Robot has confirmed via Twitter that Star Wars: Episode VII will utilise native 70mm IMAX cameras in addition to custom-built 35mm Panavision cameras. Marvel's upcoming Guardians of the Galaxy will be available in post-produced IMAX. So, it's reassuring to see director JJ Abrams opting for native formats. Want to see Star Wars entirely in IMAX? Let me know in the comments below. "We're ready to unleash the most shocking and surprising series of Sherlock yet," BBC One posted on Twitter yesterday. "The only thing is to expect is the unexpected." With Benedict Cumberbatch and Martin Freeman in the ascendance on the big screen. 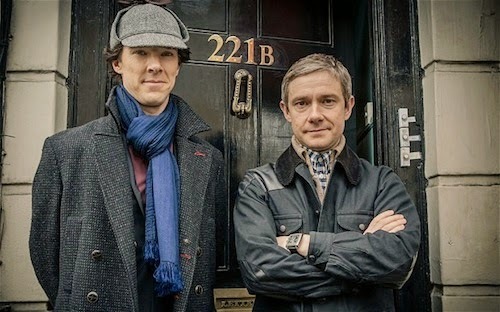 Sherlock fans may have to expect longer breaks between seasons. The earliest fix is a special in 2015 with a new series in 2016. Game of Thrones and Doctor Who fans have it easy in comparison. "A special, plus a new series of three episodes — it's a record-breaking run!" series creator Steven Moffat says in a statement. "Of course, it's far too early to say what's coming, but we're reasonably confident that the very next thing to happen to Sherlock and John, is the very last thing you'd expect..."
Wish Sherlock was back sooner? Let me know in the comments below. "Well, very involved in the very beginning. I mean, even before I was involved, he read Mickey's script and responded to it. And he kind of brought it under his roof there at Amblin Television and brought Mickey in. And then I joined up. And then we went and went out and pitched it," Walker recalled. "But every step of the way, from the creation of the world after what... you know, the extension of the world post-Mickey's pilot, and through every character's development and all the season-long arcs, we consulted with Steven and had long conversations with him." The series starring Halle Berry as an astronaut premieres on CBS and Prime Instant Video this July. Looking forward to Extant? Let me know in the comments below. Robots riding dinosaurs! What could possibly go wrong? 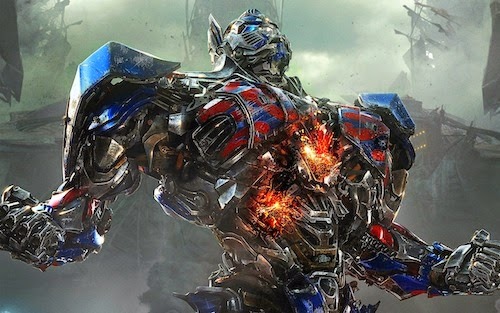 Transformers: Age of Extinction looks likely to dominate the US box office over the Fourth of July weekend! The fourth installment of bombastic bot-bashing from Michael Bay has met with derision from critics. Ain't It Cool News' Harry Knowles pulls no punches in his review. However, cinemagoers appear undaunted by Bayhem amped to the nth degree and an exhausting running time of 165 minutes. Age of Extinction took an estimated $100 million dollars during its opening weekend. "I think putting Mark Wahlberg front and centre accomplished what we wanted to do, and that's re-energise the franchise," Paramount vice chairman Rob Moore said. "He appeals to audiences, both critically and as an action star." Should Michael Bay ditch directorial duties and let someone else takeover for the inevitable fifth film? It wasn't so long ago The Fast and the Furious franchise received a reboot to stellar success both critically and commercially. Let's have that awesome Transformers car chase we've all been waiting for in IMAX 3D. Who would you like to see direct Transformers? Let me know in the comments below.